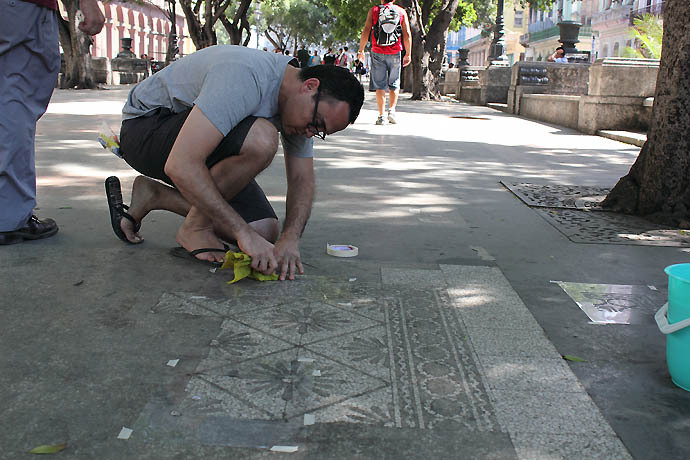 Propia Iniciativa (self / proper initiative) is an intimate visit to the Cuban context. 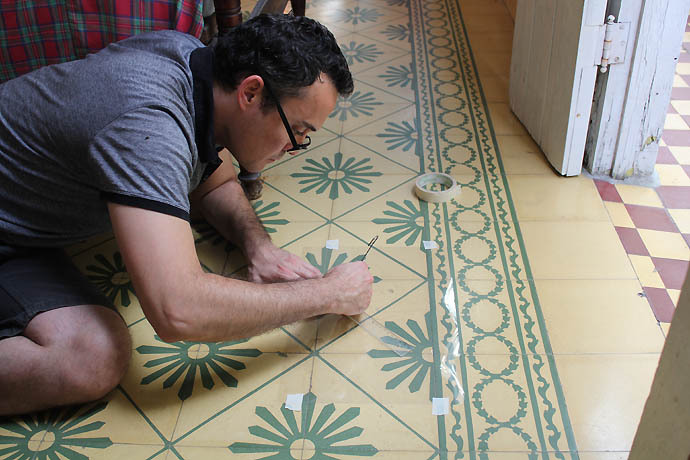 By reproducing the design of his bedroom floor on the city sidewalk in Old Havana, Inti Hernandez contrasts a well-worn public space with the pristine domesticity of his own private space in Cuba. His performance serves to demonstrate that, despite challenging and difficult situations (or perhaps even because of them) it is still possible to generate beauty and find opportunities that allow us to continue to live in an inspired way. 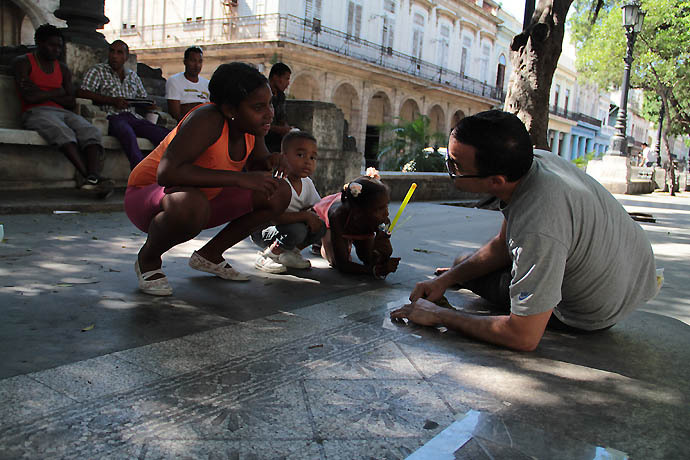 In times of review and adjustment of the Cuban paradigm – it seems that private initiative has found a new historical chance to manifest and prove itself, as a possible source of power for common good.